This is the second installment from the History of American Quilting special exhibit at the Rising Star Quilters 2015 show. 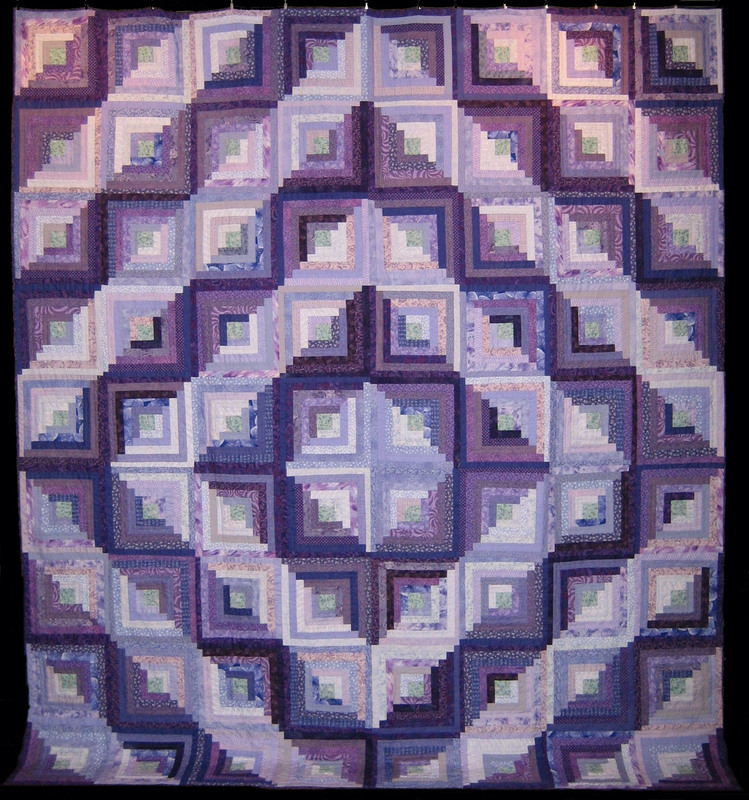 The sample quilts included here were not in the exhibit, but are quilts that I have made in recent years. By 1825, conditions were ripe in the United States for the development of a distinctly American style of patchwork. The Lowell mills opened in 1823, and were amply supplied by cotton grown in the U.S. south, largely through slave labor. American quilters now had access to a wider variety and quantity of domestically-produced fabrics. With industrialization and an improved economy, many urban women also had more time to devote to quilting. 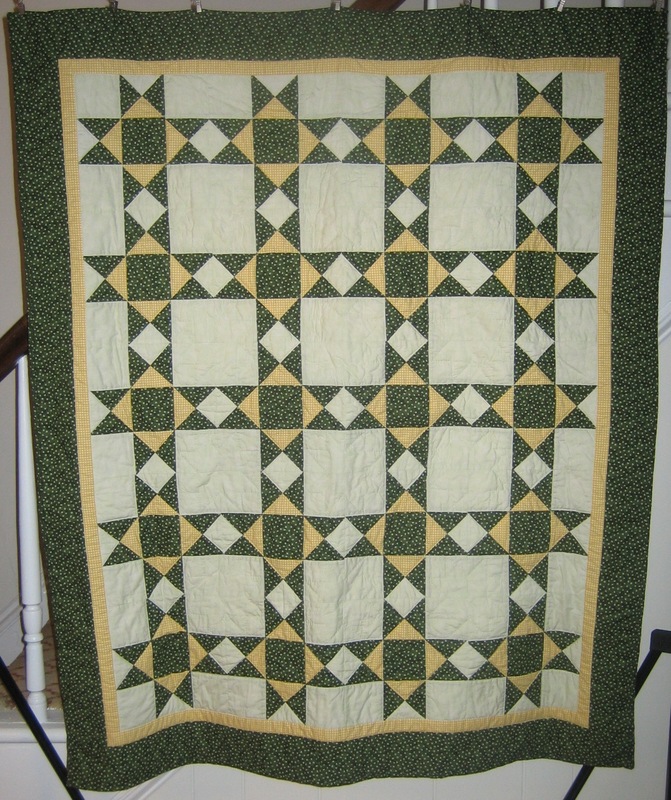 The whole-cloth and mosaic style quilts of the previous era gave way to pieced blocks (4 Patch, 9 Patch, LeMoyne and Ohio Stars, Log Cabin) and whole-top pieced patchwork, like the Star of Bethlehem pattern. American patchwork was born.